Indiafirst Life Insurance is a partnership among Bank of Baroda, Andhra Bank, and UK-based Legal and General Group. The company was launched in 2010 and offers a wide range of products to its customers. A person with any query can approach an Indiafirst Life Insurance customer care service executive by calling on their toll-free number, by sending a mail, by visiting their official website or by paying a visit to one of its branches. Customers who are residents of India can contact a customer care service executive by calling on the toll-free number 1800-209-8700 anytime between 8:00 AM and 8:00 PM from Monday to Saturday. People who live outside India may call on the number +9122-62749898 between 8:00 AM and 8:00 PM from Monday to Saturday in case of any query. An Indiafirst Life Insurance customer may get in touch via email as well. In case of any service requests, the person can send a mail to customer.first@indiafirstlife.com. If the customer wants to have any information regarding claims, he/she can do so by sending a mail to claims.support@indiafirstlife.com. A customer of Indiafirst Life Insurance can also avail the callback facility. The person will need to visit the insurance company’s official website, wherein the customer support section he/she can locate the ‘Get a call back’ option. The person will have to enter some details such as name, address, and mobile number. After submitting this information, the person will receive a call from the customer care executive. An Indiafirst Life Insurance customer can avail this particular facility. All he/she needs to do is to visit the official website of the insurance company. On the bottom left corner of the page, one can locate IRIS which is the chatbot available. On clicking on the bot one can select the service under which he/she can get all the relevant information. A customer who wants to get any of their grievance addressed can do so by following a four-step mechanism. Step 1 – The customer can place their complaint online by logging into the customer portal. If they don’t have an account, they will need to create one. After that, they will have to go to the QRC (Queries, Requests, and Complaints) section where they can raise their query. 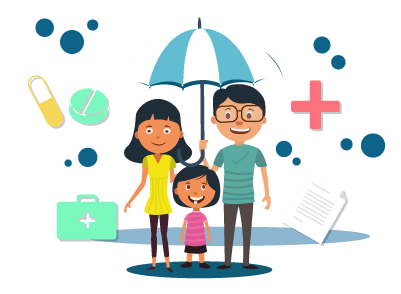 The customer can walk into any of the IndiaFirst Life, Bank of Baroda or Andhra Bank branches or directly contact the grievance redressal information in their city, the details of which can be found on the insurer’s official website. The customer care team will respond to the query within 15 days from the date of receiving it. Step 4 – If the issue is not yet resolved, the customer can approach an Insurance Ombudsman Officer directly.